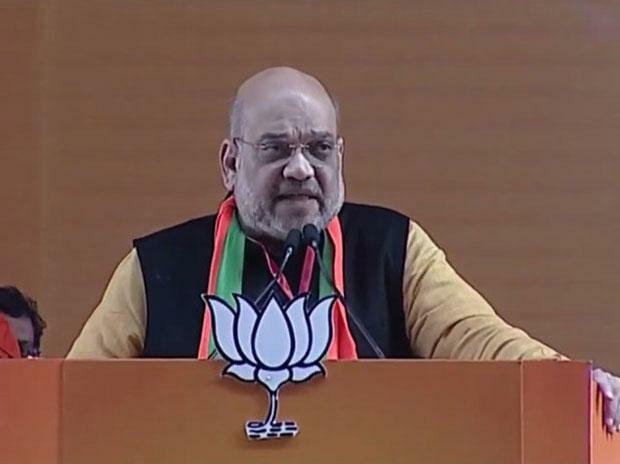 Bhubaneswar: BJP president Amit Shah will embark on a two-day visit to Odisha on February 2, informed party State unit SC cell president Rabi Naik. Naik said the party national president will attend party’s two-day national convention of scheduled castes wing. The convention will be held at Naharkanta on the city outskirts. Shah will also visit the State on January 18. During the visit, he will have separate meetings with booth-level workers of four Lok Sabha seats where BJD has witnessed political turmoil in recent times. Shah is alos scheduled to meet party workers from Kendrapada, Jagatsinghpur, Cuttack and Jajpur at Salipur in Cuttack district in his first visit to the State this year. With simultaneous Lok Sabha and state assembly elections a few months away, Shah is likely to interact with the booth-level workers and boost their morale in these areas. While Prime Minister Narendra Modi is scheduled to address a public meeting at Bolangir on January 15, his third in a month in Odisha after rallies in Khurda on December 24 and Baripada on January 5, Shah’s proposed visit assumed significance in view of the fast approaching polls.